Peak enjoys and excels at working with client’s established brand identity guidelines to produce compliant yet fresh and interesting collateral. Since 2007, Peak has worked closely with Pinnacol Assurance each week to create on-brand design deliverables that continually showcase new approaches to their established identity. 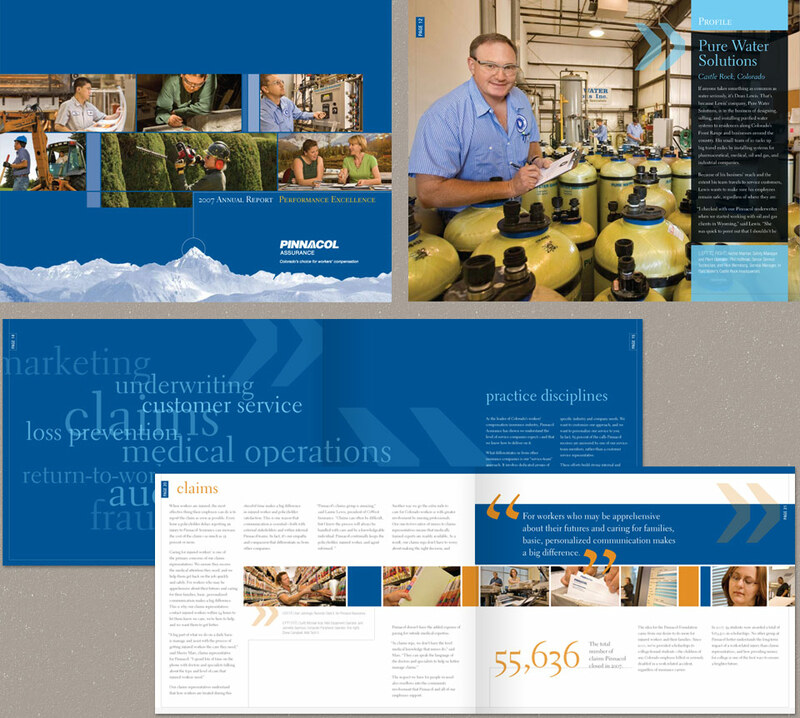 Working closely with Pinnacol's communications team, Peak Creative provided design, production, and art direction for Pinnacol’s 2007 and 2008 annual reports. Peak Creative has helped Pinnacol develop several sub-brands under the Pinnacol brand umbrella. 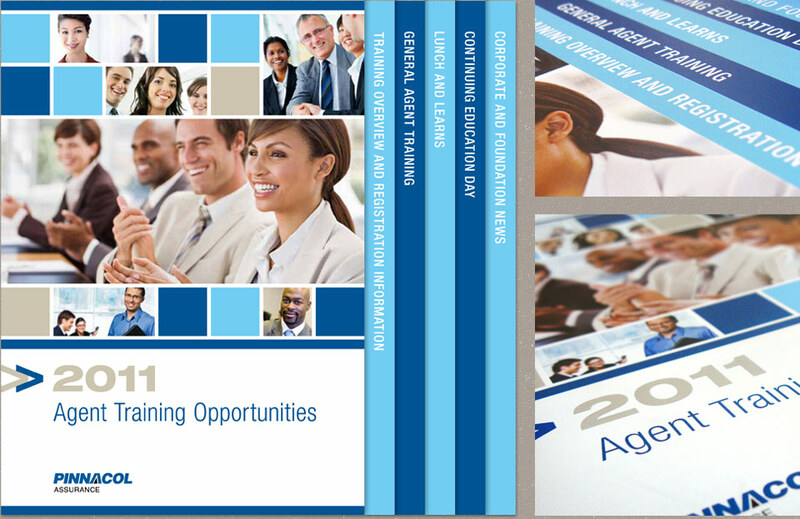 This stair-stepped, 12-page brochure set the stage for Agent Training collateral to come.